A family-owned producer of cider drinks that use 100% British apples in all their products. Napton Cidery have created more than 16 distinct flavours of cider, in addition to their apple juice, vinegar and apple brandy. Sales have increased by 1000% from £6.8k in 2016/2017, to £68k in 2017/18. The company's profit margin per product is around 63% and they sell an average of 3000 litres per month. This investment round will result in Napton Cidery increasing their cider production to meet customer demand. Furthermore, they also intend to release a range of products in other beverage markets to attract new customers to the brand, as well as take advantage of the current fruit cider boom. The below content is from social media taken from external sites and is not representative of the views of businessagent.com or Napton Cidery. Please sign in or register to businessagent.com to comment on this pitch. Redag Crop is an agrochemical discovery business focused on products that play a vital role in controlling the pests and diseases that threaten our global food supply. The growing population, expected to grow by 8 billion by 2020 and then 9 billion by 2050, will need more crops than the existing land can produce. Each hectare will need to produce 2.5 times as many crops as they do now. A juice concentrates company with the aim of selling healthier products, which have no added sugar or artificial ingredients. Delicious and healthy drinks can be made by adding Fiovana's many flavours to still or sparkling water. 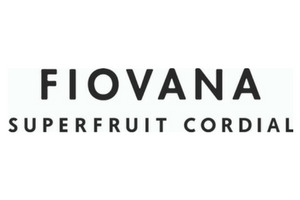 Fiovana's range is readily available from retailers, as well as a regular subscription from the company's website. Britvic has already £100,000. Chadlington Brewery (aka The Oxford Beer) produces popular Oxfordshire beer with iconic brands such as Oxford Blue Ale and Boat Race Lager. The Brewery's popular Oxfordshire beer is also the official beer of Oxfordshire County Cricket. 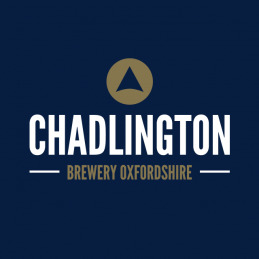 Moreover, Chadlington Brewery is centrally located between Wilderness and Cornbury festivals and The Big Feastival, attracting up to 60k visitors. In 2018, the brewery tripled its sales to £46,917, built a new brewery and opened 100+ outlets including retailers like Oddbins and major hotels/venues in Oxford. Furthermore, in 2019, Chadlington Brewery is planning to double the capacity, build a great new tap room and visitor center, and start exports. Please sign in or register to businessagent.com to upgrade this pitch. A family-owned producer of cider drinks that use 100% British apples in all their products. Napton Cidery have created more than 16 distinct flavours of cider, in addition to their apple juice, vinegar and apple brandy. Sales have increased by 1000% from £6.8k in 2016/2017, to £68k in 2017/18. The company's profit margin per product is around 63% and they sell an average of 3000 litres per month. This investment round will result in Napton Cidery increasing their cider production to meet customer demand. Furthermore, they also intend to release a range of products in other beverage markets to attract new customers to the brand, as well as take advantage of the current fruit cider boom. sign up to businessagent.com now! Over the last 2 years CrowdRating has worked with proven investors and entrepreneurs to develop a check-list of up to 90 standard questions across 9 key areas that we then use to score each Campaign on an independent and objective basis. We have developed a "traffic light" system for businessagent.com with Green representing scores over 75%, Amber from 50-74% and Red for scores below 50%. We have produced over 500 ratings and received strong endorsements from Investors and Entrepreneurs alike. CrowdRating is authorised by the FCA. To enable all of the features of the site and view this pitch on Crowdcube, please fill in your information below. We are not responsible for the content of the Crowdcube website and we do not accept any liability. By proceeding to this pitch you are accepting these terms. To enable all of the features of the site and view this pitch on Crowdcube, please sign in below. We are not responsible for the content of the Crowdcube website and we do not accept any liability. By proceeding to this pitch you are accepting these terms. Come back soon as we are listing new investment opportunities each day.